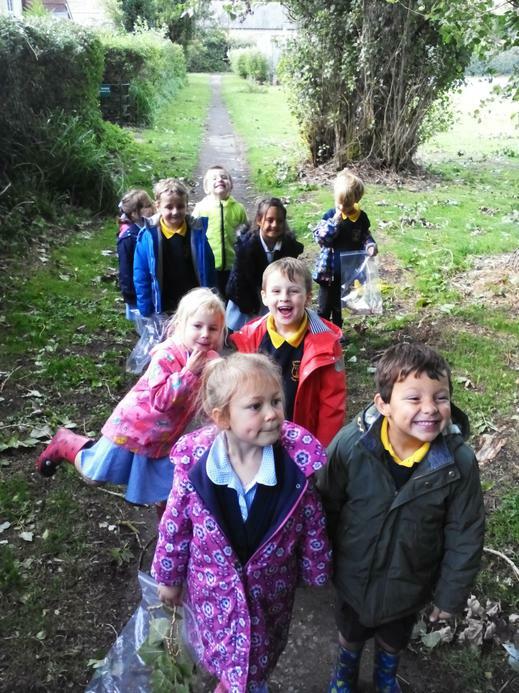 Giant class went on their first Welly Walk in the village today! 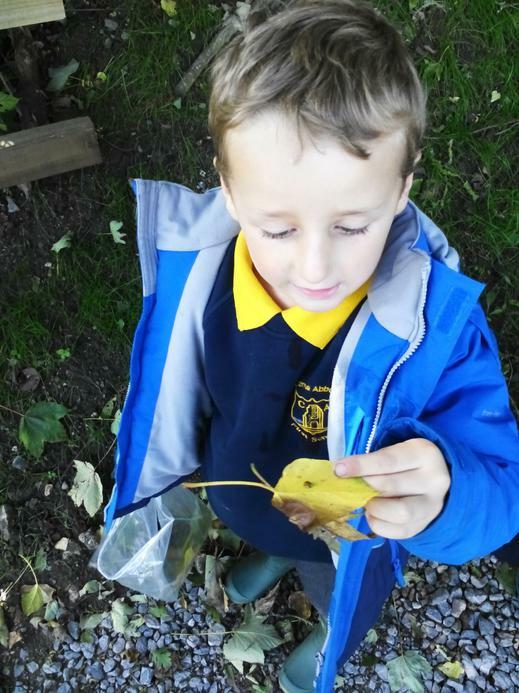 We were looking out for signs of autumn. 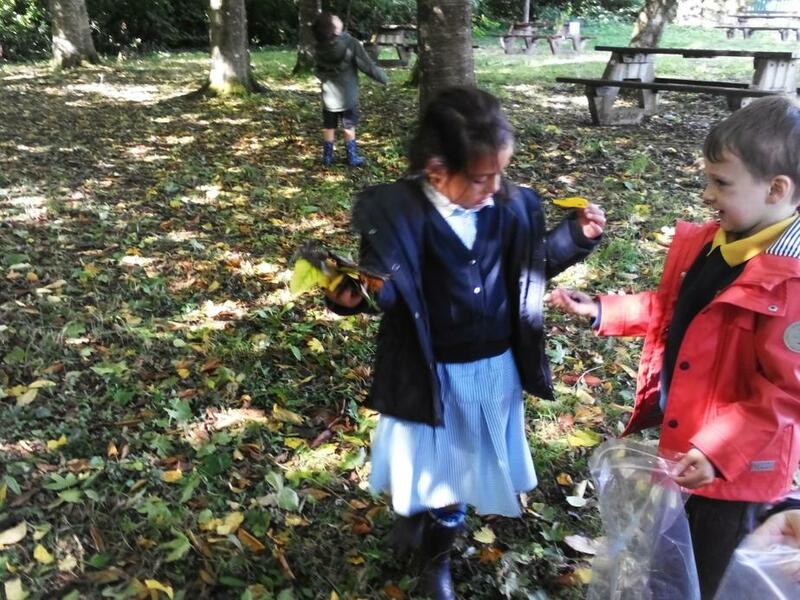 We found lots of leaves on the ground. 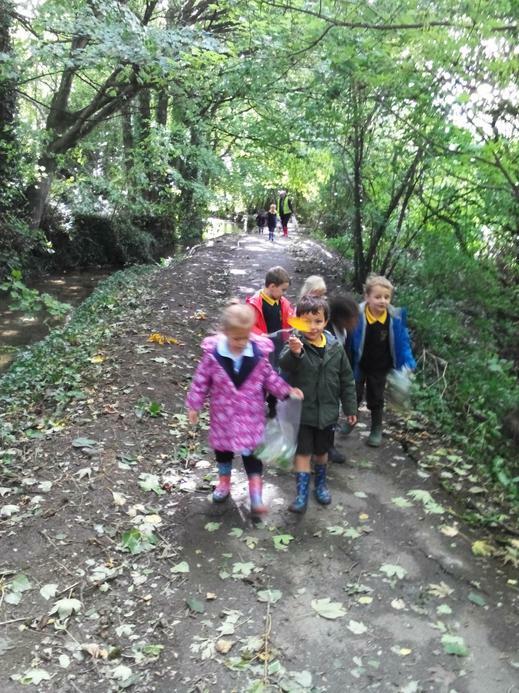 We saw lots of different coloured leaves, they were red, yellow, orange, brown and green. 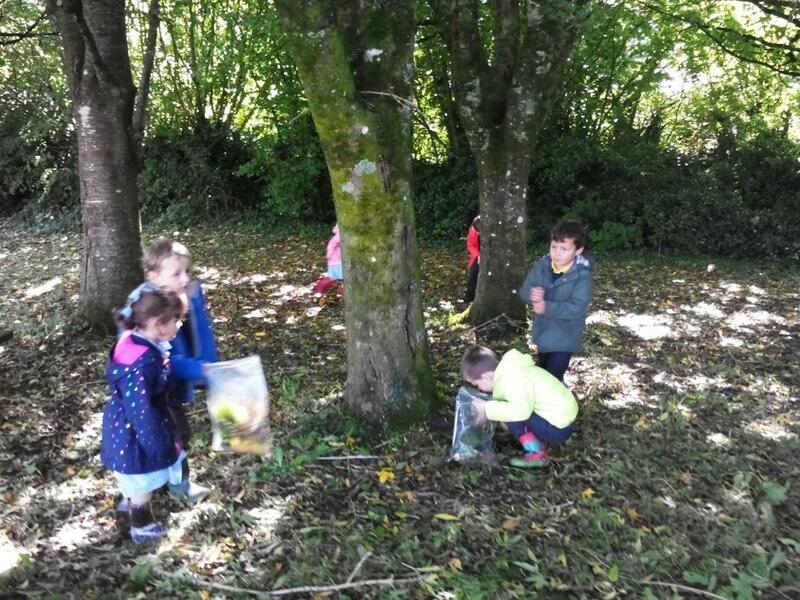 We also found some acorns and seeds. 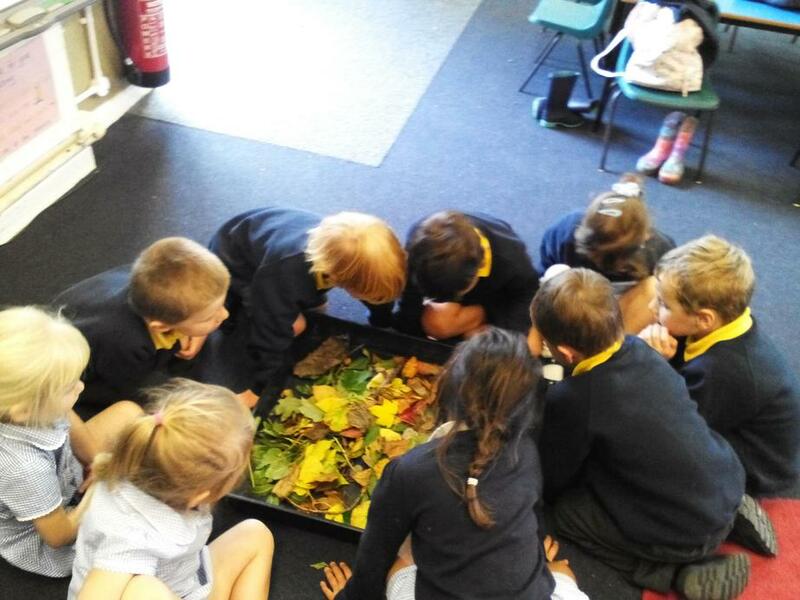 We collected all sorts of autumnal objects and brought them back to the classroom to look at closely and explore. We have also started thinking about Harvest and all the crops and food that have been growing over the summer. We have started learning our song for the Harvest Festival! 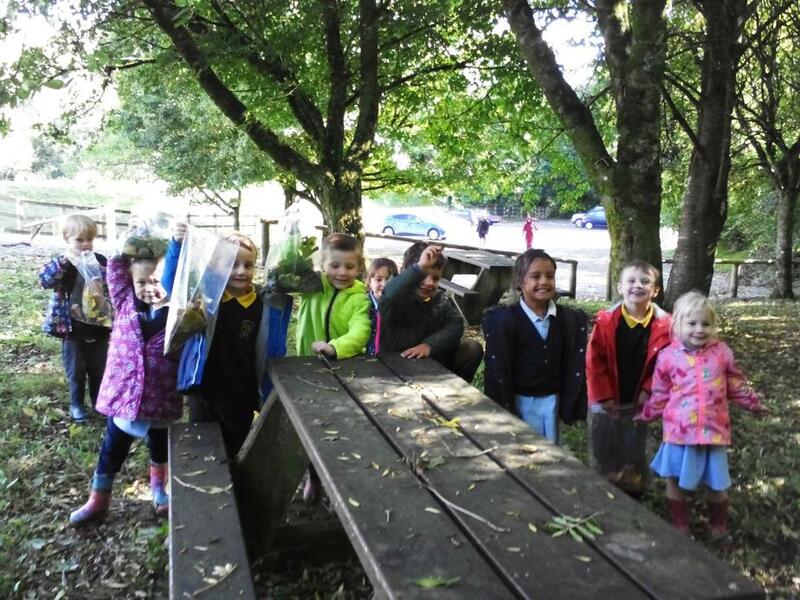 Giant class have worked hard this week! I hope they have a restful weekend ready for more fun and learning next week!